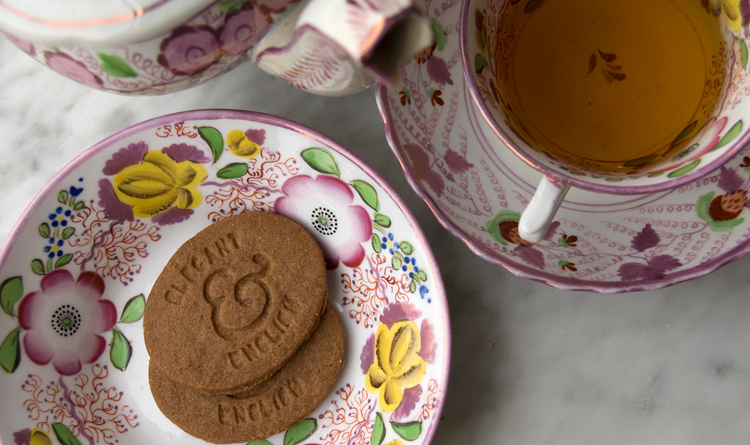 All-butter treats handmade in England for your Afternoon Tea. 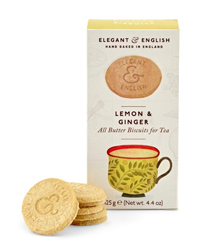 Elegant & English® are refined all-butter biscuits, each with subtle and interesting infusions of two natural flavors that ebb and flow on the palate. 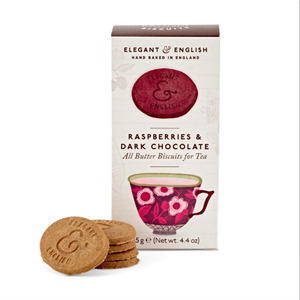 Slim and crisp – and the perfect complement to a cup of tea at any time of day. Classic, stylish, and as English as Cary Grant and Audrey Hepburn. 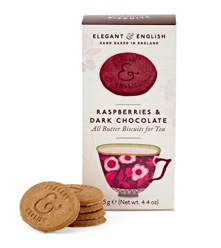 The classic marriage of raspberry fruitiness and chocolate richness. 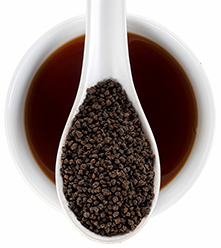 4.4 oz.